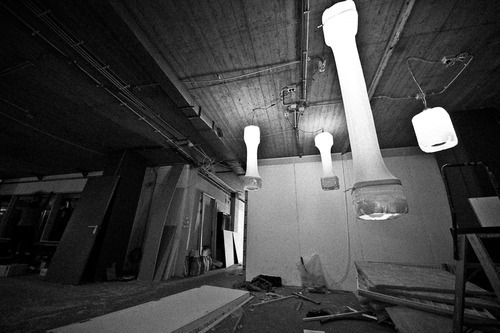 When I met Milan Hofmans I was immediately impressed by his great photo work. Taking pictures of cool people in Amsterdam resulted in stunning material. We defenitely wanted him for our cool new project. Together we decided what would fit and suprisingly this great artist also worked on an upcycling art piece made of old clothes. This fits the Noun and Baut concept perfectly so yes yes yes we wanted to put this up as a centerpiece. 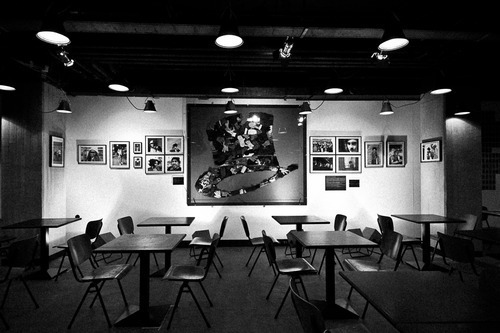 Take a look at the pictures he created for me during this interior and art project. Old army lamps and chairs from Germany, jerrycans made into new artwork, ductape toilet doors and many more smart upcycling solutions are implemented. 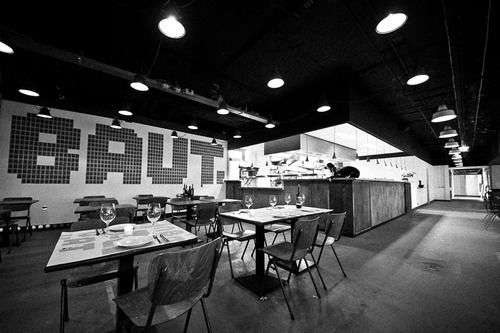 And if you are impressed you can visit Baut Amsterdam 7 days a week at the wibautstraat 125. We hope you enjoy it! With love Noun.